Girls on the Run is a 5K for young girls, before and after the event they can walk around to the different booths set up. We will be running a volcano booth where participants can make bath bombs. There is also room for more tables and themes if you're interested in hosting an activity! Contact Danita for more information, to sign up and coordinate carpooling! How Important is Professional Development and Outreach? Thank you to everyone who participated in our Fall 2018 Distinguished Speaker Luncheons! Thanks to Kapolei Library for helping us with our Kids Who Code outreach event! The Girls on the Run program encourages girls in 3rd-5th grade to build confidence and connections with others. 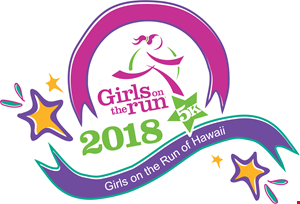 The Girls on the Run 5K event celebrates the end of the season. This year we're bringing back the popular bath bomb-making activity while teaching girls about the science of volcanos! Want to help plan or volunteer at the event? Let us know! What a blast! We go to know a few new members, played some intense rounds of Donner Dinner Party, and talked about our upcoming events this spring semester!